Online Education and EdTech startups are very important and growing fast, and video is a key part of this. A recent report by Kaltura highlights this. Kaltura is a leading provide of video hosting and editing tools in the education space, and a tool that we have used extensively with our client Teachstone Training. Their 2015 report on the “State of Video in Education” is an interesting read, and provides a lot of interesting statistics based on their annual survey of over 1200 educators in K-12 and higher education. 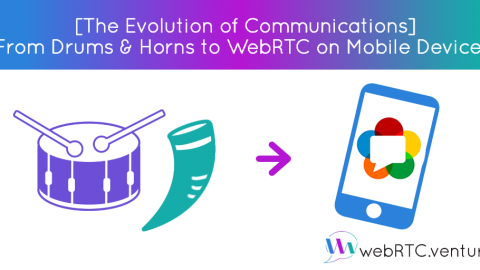 A few statistics in particular caught my eye, as they relate to the use of WebRTC in development of video communication tools. 83% of respondents agree that online learning will grow in importance and acceptance. By itself, this is not surprising to those of us in the technology or education industry. But it’s affirmation to hear educators themselves acknowledge that the in-person classroom experience is not the only way education will be delivered in the future. 66% of respondents agreed that using video for remote teaching/learning is now commonplace in higher education. Remote teaching is becoming particularly common in higher education. Some universities are completely online, and traditional universities incorporate more remote learning options through tools like Coursera and EdX. 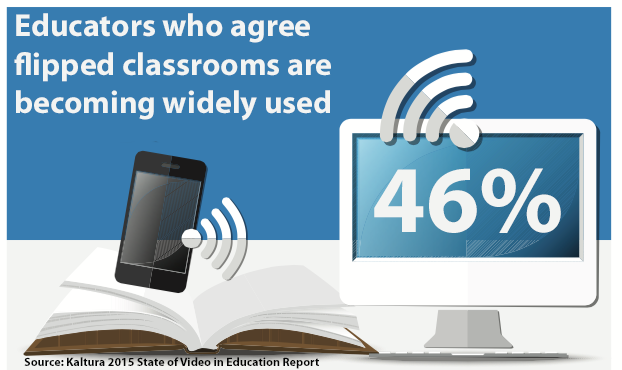 46% of respondents agreed that flipped classrooms are becoming widely used. A flipped classroom is when teachers use classroom time to work on homework instead of introducing material to the students for the first time. The students learn the introductory material at home or outside of the classroom, often through videos that the teacher assigns to the class. These videos cover the basics that the teacher would normally introduce in the classroom, and this frees up the teacher to spend the entire class working with students on their homework and answering questions. These trends and responses from the Kaltura survey are very interesting, and they blend well with the increasing popularity of WebRTC as a way to build video communications into browsers and mobile devices for a number of industries, including education. 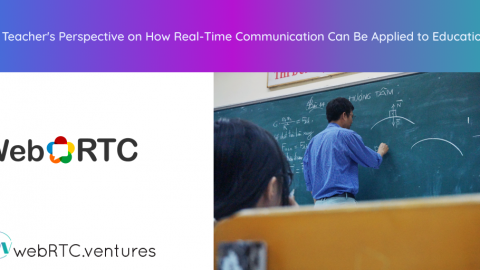 While you can certainly use tools like GoToMeeting or Google Hangouts for online education, many startups are choosing to build integrated products for online education that involve WebRTC for the communications part. WebRTC is particularly useful for webcasting, or live streaming of lectures or events. This chart from the Kaltura report highlights how K-12 educators and higher education institutions are using Webcasting in their curriculum. From this chart we can see that the vast majority of institutions are using web casting for at least one purpose. 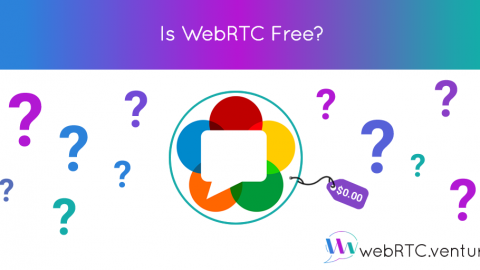 Here are 4 ways that WebRTC is particularly useful for these situations. WebRTC allows an educator to turn on a webcam and broadcast themselves to remote students for a lecture in real time. With some additional coding, tools can also be built that include screensharing, so that they can broadcast their desktop as well as video for presentations or examples. In the software development sector, we have seen several companies use this broadcasting and screen sharing to teach students how to write software. Even if all the students are in the classroom, it may be useful to bring in a remote lecturer or guest for part of the classroom time, in order to present their knowledge on the topic being discussed. 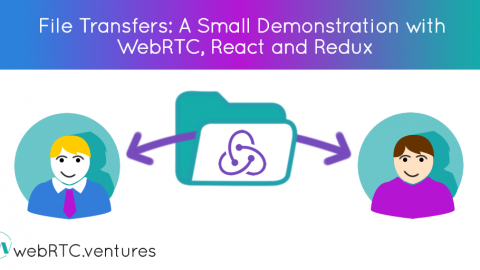 This could be done simply with a tool like Google Hangouts (which is based on WebRTC), or it could be done as part of a custom online education tool built using WebRTC. When all the students are not in the classroom, this could also be used to allow remote students to not only listen in to the guest lecture, but perhaps also turn on their camera and join the discussion to ask a question. We have built a couple of tools like this for our clients where a moderator and a guest can bring in students for a 3 way video conversation, and then move on to questions from the next student. One of the great values of in-person education is the ability to learn through group work with your peers. This is more of a challenge in online education, since the experience is often more “top-down” and driven by presentations from the teacher or professor. However, you could certainly build a custom online education tool based on WebRTC which would allow the teacher to assign the students into groups in real-time, and then assign a small project to each group. The groups all retreat into their virtual “rooms” to discuss the project, and then return to the full classroom video “room” to present their findings. 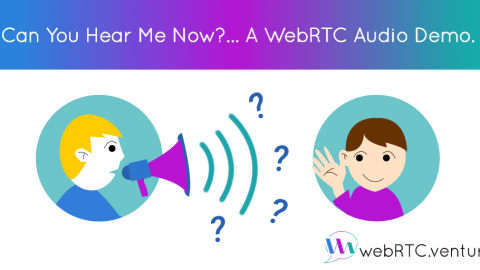 WebRTC is all about live, real-time communications, but you can still record a session for later viewing. This is made particularly easy with commercial solutions like TokBox, which our team can use to build the video communications tool with recording built in. 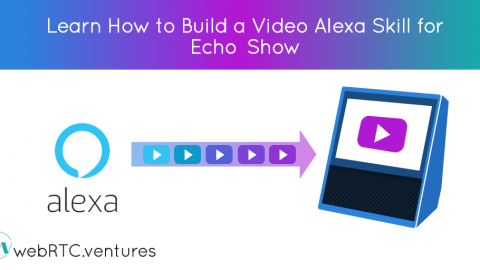 The recorded videos can then be transferred to permanent and secure file storage on Amazon S3, or perhaps to a tool like Kaltura where you can then further edit the videos if needed before sharing with students unable to attend the live event. #1 Peer to Peer and Encrypted for Privacy – this reduces privacy concerns, especially in K-12 education, about exposing children to videos online. WebRTC is by its very nature more private in nature than other methods for streaming video. #2 No installs need to be approved – A common problem in educational institutions, especially K-12 education, is that a teacher must have the local IT administrator’s approval to install applications on school computers. Because WebRTC is supported entirely by popular browsers like Chrome and Firefox, you do not need to install any additional software to use it. That means less hassle for the teacher, and less delays in providing your solution to the students. 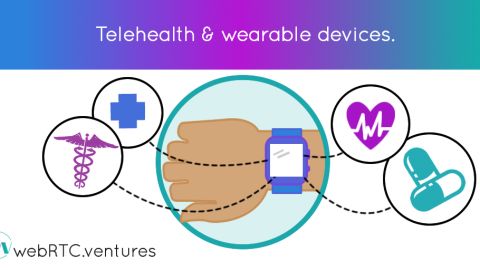 WebRTC offers many interesting benefits for online education. If you have questions about its suitability for your online education project, just contact us and we’re happy to help!